Pictured above is the 2013-2014 National Officer Team. At the far right is Leah Rife, from Pikes Peak Community College, who served as this year’s National College/Postsecondary President. 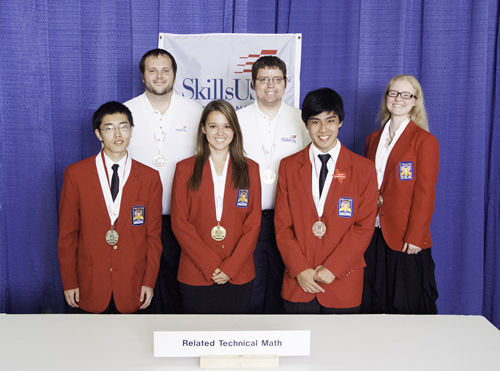 Congratulations to all the students and advisors from SkillsUSA Colorado who participated in the 2014 SkillsUSA National Leadership and Skills Championships in Kansas City, MO. This year marked the 50th national conference and the start of SkillsUSA’s 50th year in existence! and Silver – Walter Horjus and Logan Armstrong, Ken Career/Tech Center (MI). Sandeep Kulkarni and MIke Edmonds. Pictured above are the medalists for the Related Technical Math Contest. Bronze – Brian Yao, Westwood High School (TX). and Bronze – Joy Davidson, Pickens Technical College, (CO). For individual competitor scores, click here. In an effort to provide additional security over detailed competitor scores, a date of birth for the contestant is now required as is the contestant’s number. 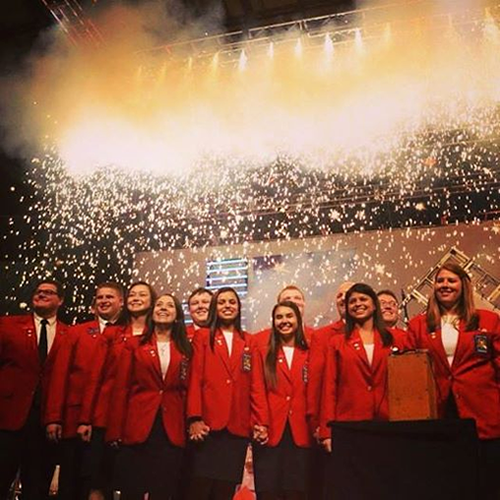 Photos and video highlights from the National Conference are available through the National SkillsUSA Facebook page or via the SkillsUSA Colorado Facebook page. Video highlights can be found here. You can also view videos of the awards ceremony here at Mike Rowe’s website.